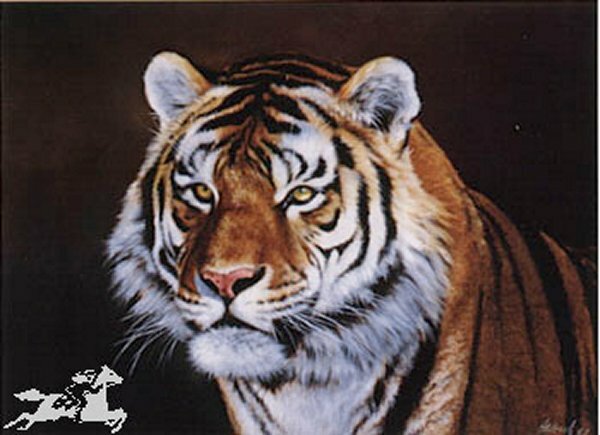 The magnificent Siberian Tiger once ranged throughout Western and Eastern Asia and Eastern Russia, but is now confined to Far Eastern Siberia where it is protected. These beautiful cats were hunted to almost extinction for their hides, but thousands were also killed many years ago in Russia due to large land projects where the tigers were considered a hindrance to progress. Today, the big cats are being bred in programs that are increasing their numbers, along with being housed at zoos around the world for visitors to view the regal creatures. The Siberian tiger's coat is moderately thick, coarse, and sparse compared to some of the other big cats. The summer coat is coarse, while the winter coat is denser, longer, and softer. The tigers prey on deer, wild boar, moose, and sometimes bear to feed, but also will catch rabbits. In the animal kingdom, the Siberian Tiger is one of nature's most enduring symbols of beauty and survival in an ever-changing habitat.